We moved here for the location and wanting to be on the river but not stuck down in Canary Wharf. We love the modern living and having the city on our doorstep. There are some amazing historical sites and backstreets of old london to explore as well as the convenience of all the amenities at St Katherines Dock. Definitely go to Dickens (huge old pub) and discover more hidden gems like the Wilton Music Hall. Didn’t appreciate how long some of the onsite facilities would take for completion as thought the club would be available when we moved in. We moved in last year and we are so excited to be living in this incredible location. Not many/ any! of the services or shops etc are available yet with a few things like The Club just opening but as we are right next to St Katherine’s Dock it doesn’t matter. Things are happening every day, last month the fountains were turned on and whilst the completion of the rest of the site is still a long way off it is these small steps that are exciting and shows the progress being made. 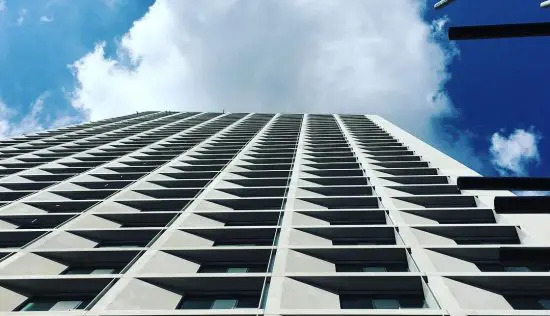 We love our flat, there have been a few teething problems but with so many of the developers on site and around they have been fixed quickly. I viewed the site last year and was given an overview and tour of this vast historic site in Wapping East London which was one of London’s original enclosed docks. The plans look amazing and really look forward to seeing this area reinvigorated. We were also treated to a very informative tour of the local area. It just shows that there is always more to discover in London as I was taken to a couple of locations I’ve never visited. We went down into the vaults of the listed Pennington Street Warehouse which was used to store rum ivory and spices and is over 300 metres long, this building which has been closed for hundreds of years is being redeveloped into shops, restaurants and bars. London Dock sits between St Katherine’s Docks and the Grade I listed Tobacco Dock building. 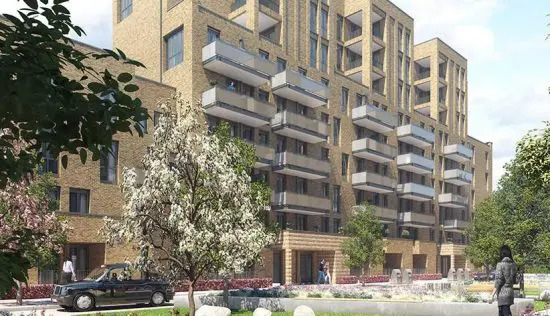 As well the new apartment blocks, the old cargo vaults and warehouses will be restored, and we are told this will deliver 1,800 homes in total. I love this part of town which has huge historical reference but has been disconnected from its surroundings and the warehouses left empty. I do believe that by opening it up it will be a thriving space and it is why we have chosen to buy an apartment here. 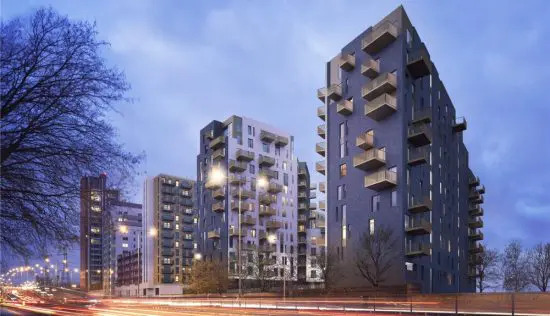 Years ago I used to watch location location location and Kirsty always said buy between two popular areas if you want to get somewhere on the up and that is what I think of London Dock. London Dock, a new development by St George, bags itself a prime spot in the heart of Wapping. Iconic landmarks like Tower Bridge and the Tower of London sit side by side modern City buildings and St Katharine Docks. If you work in the City, Canary Wharf, Shoreditch or Whitechapel, youll be perfectly positioned as a resident of London Dock. Tower Hill station is a short walk away, with Tower Gateway and Shadwell on the DLR also within easy reach. 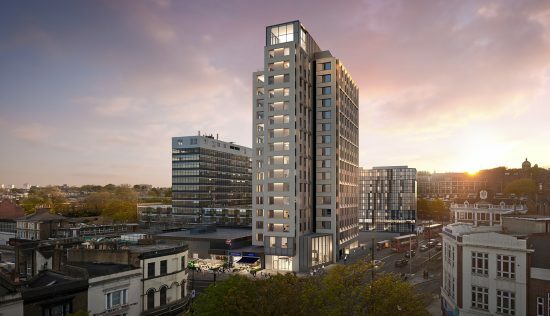 Wapping has always benefited from a central location, but this new development designed by renowned architects Patel Taylor will breathe new life into the area. 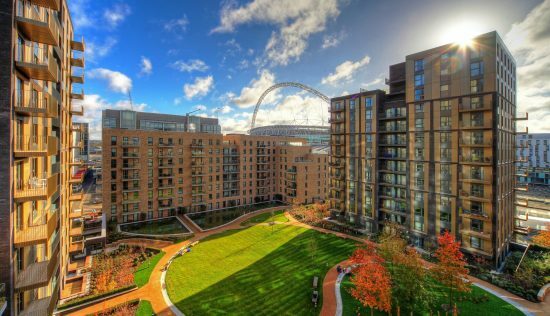 Outside, there are landscaped open spaces, water gardens and central squares surrounding the well appointed brick and glass faÃ§ades of the London Dock apartment buildings. The water features in Gauging Square is pretty enough to look at, but you cant help but think that the vast area could perhaps have been put to better use as additional outdoor eating and seating space. The London Dock buildings are an attractive mix of strikingly contemporary and sympathetic to the character of the area with its wharf buildings and warehouses. Inside, 1, 2 and 3 bedroom apartments and penthouses are decorated by the award winning design team of 1508 London. Disappointingly, the interiors are bland and unoriginal, with taupes and grey an overriding feature in the mid century modern decor. But theyre well decked out in terms of extras, with features like Miele appliances, instant hot water taps and wall mounted Samsung TVs. And its easy enough to bring a personal touch to lacklustre interiors. The surrounding area has kept its old world charm despite the extensive regeneration. Within the London Dock development itself, residents can enjoy bars, restaurants and shops on their doorstep, as well as exclusive membership to The Club. This private members club offers hotel style facilities like an indoor swimming pool, sauna and steam room, private screening room, and even a virtual golf and squash court for fitness enthusiasts. A 24 hour concierge and managed underground parking means that life is made that little bit easier. For culture buffs, nearby Wiltons is the worlds oldest surviving Grand Music Hall, which the area is understandably proud of it features a varied programme of entertainment, including theatre, music and comedy.